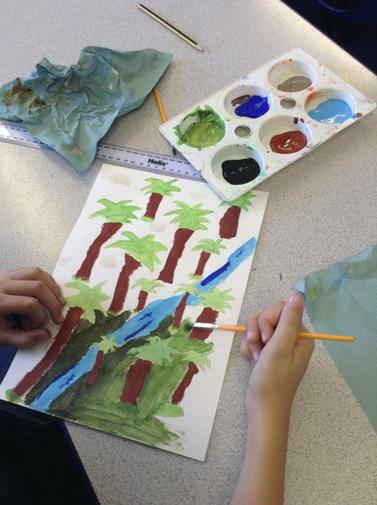 To link in with our Literacy work, we perfected our painting skills and used different techniques to paint landscape and abstract pictures relating to a junkyard or forest/jungle. 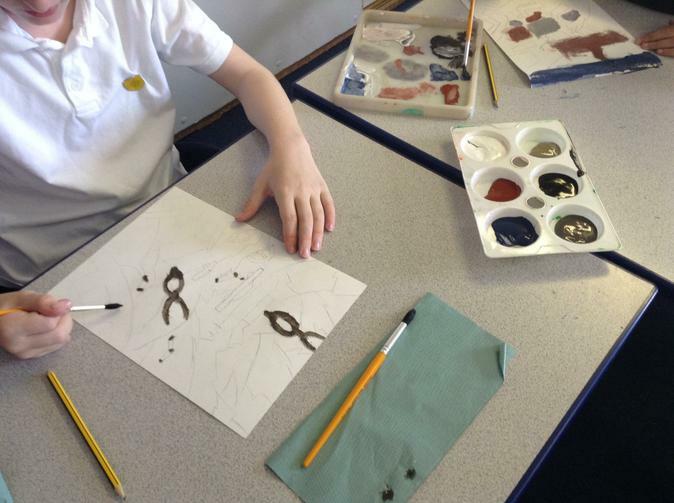 We mixed and blended different colours together and learnt that we didn't need to use white or black to make a colour lighter or darker - other colours are better and more effective! 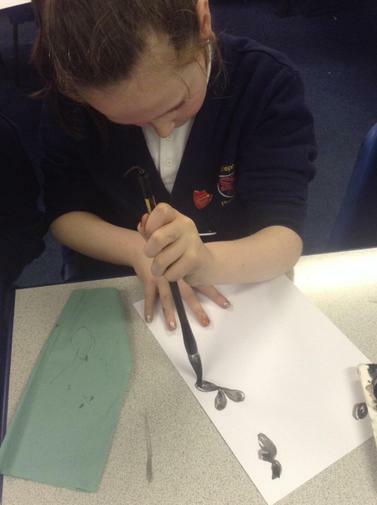 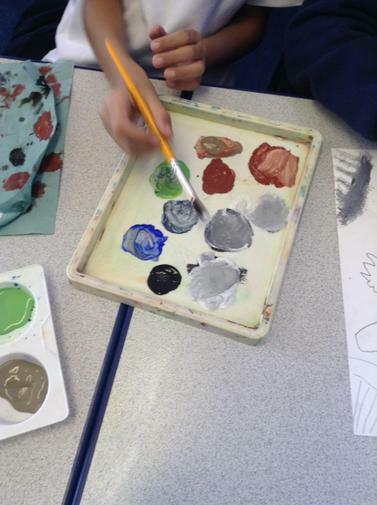 We thought carefully about the equipment that we were using and selected from a variety of different paint brushes too. 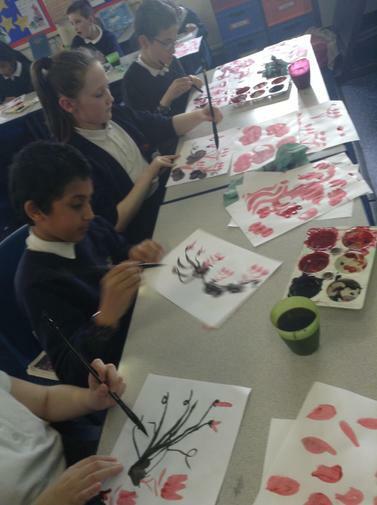 We have also been very busy in our environmental area, working on weaving willow techniques to help look after it whilst learning creative Art/DT skills and vocabulary too! 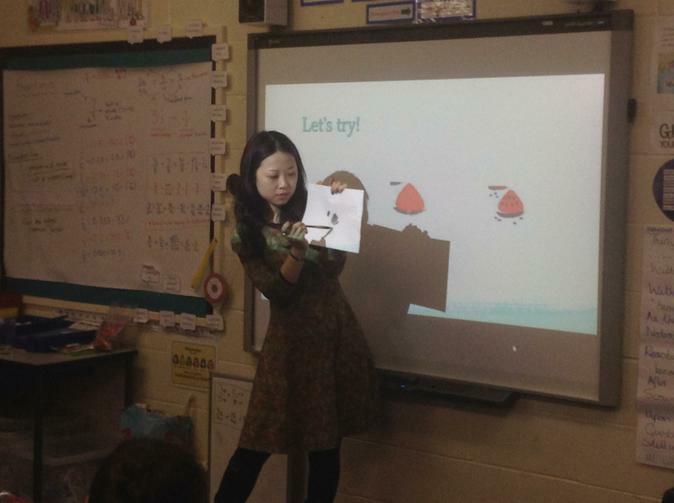 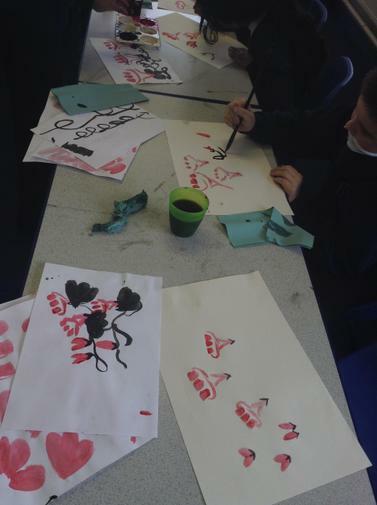 We have also been practising our digital art skills. 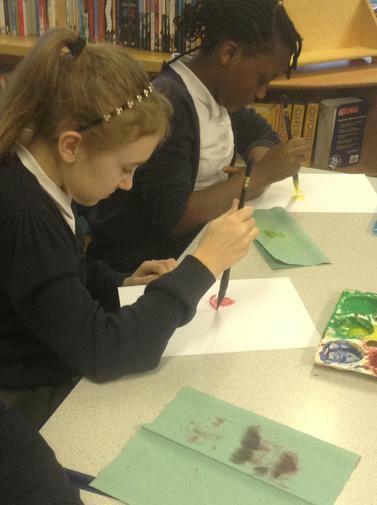 We have used Pixlr on the computers to crop, layer, edit and create our own digital art pictures. 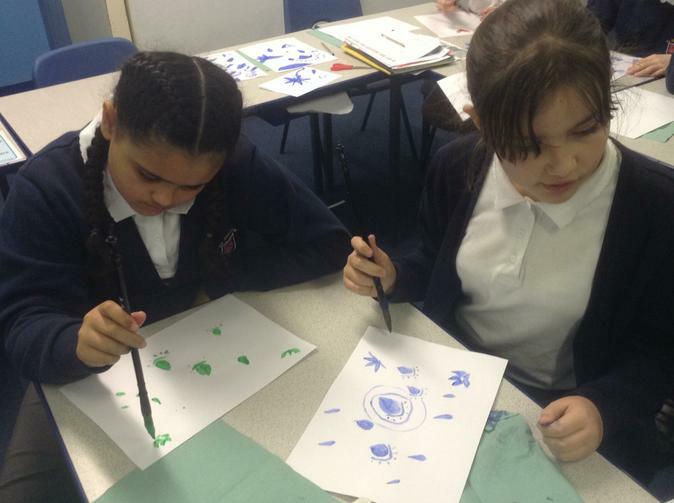 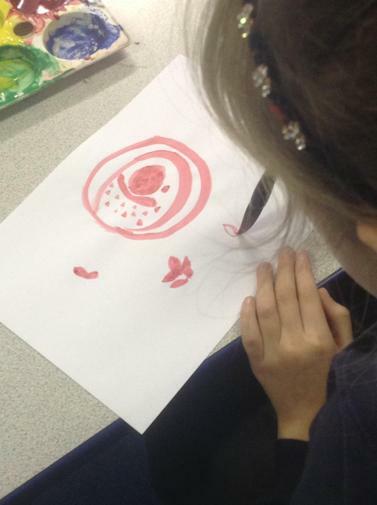 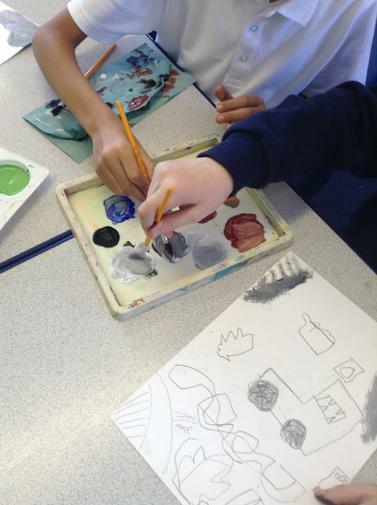 The children are loving using their sketch books to explore different art media and techniques. 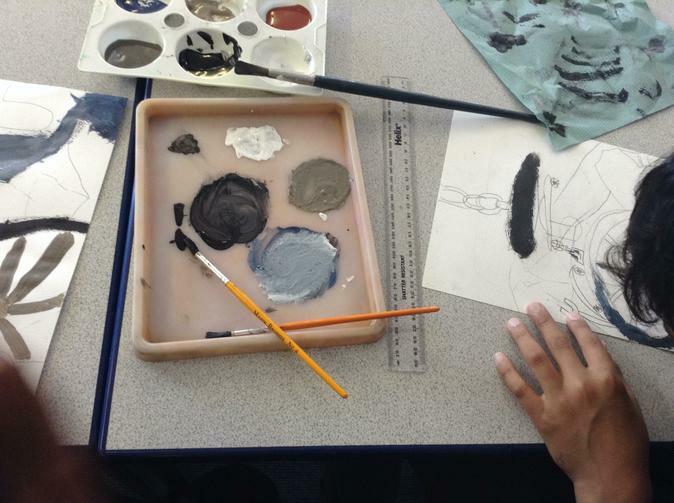 We have been using a combination of oil pastels, graphite pencils and charcoal pencils to create some art linked to our RE unit exploring The Kingdom of God. 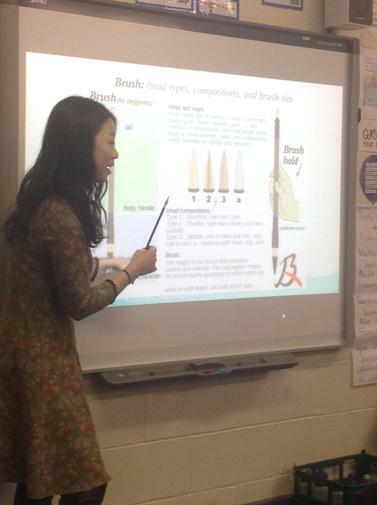 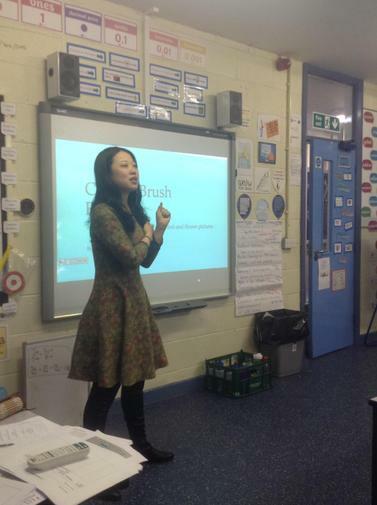 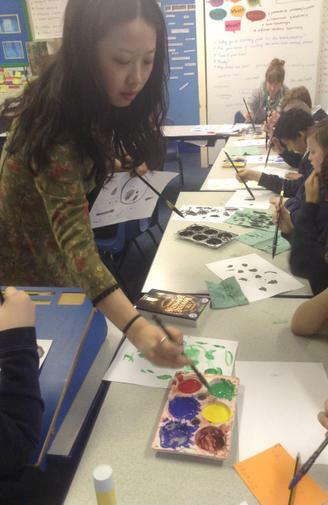 We were lucky enough to have some Chinese artists come into class and teach us new painting skills using specialist Chinese paint brushes. 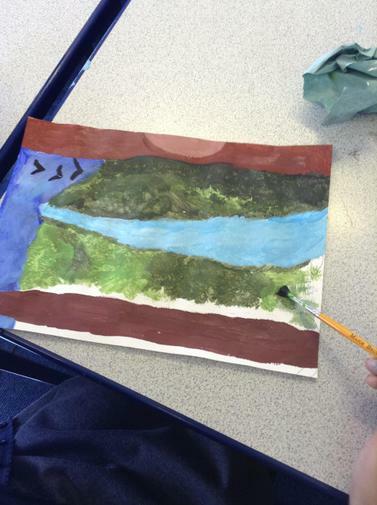 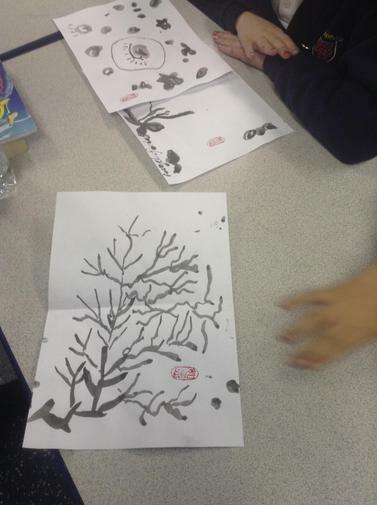 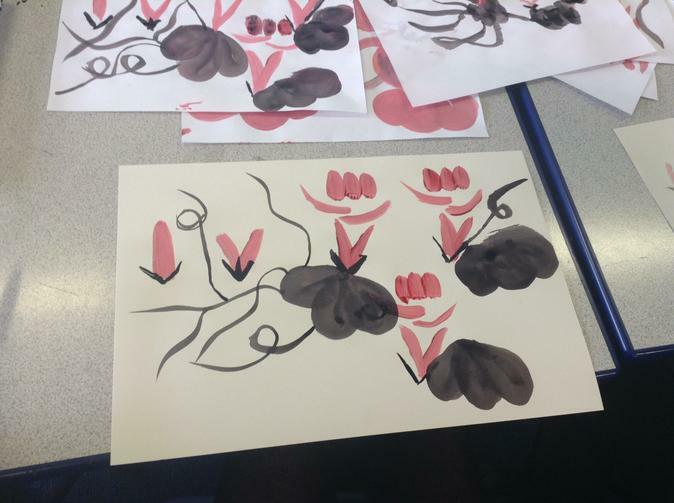 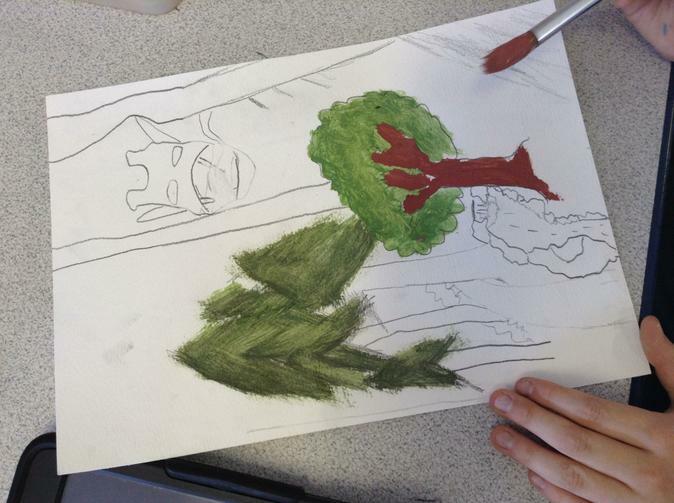 It was such a technical way of painting but we persevered, learned alot and produced some fantastic art work. 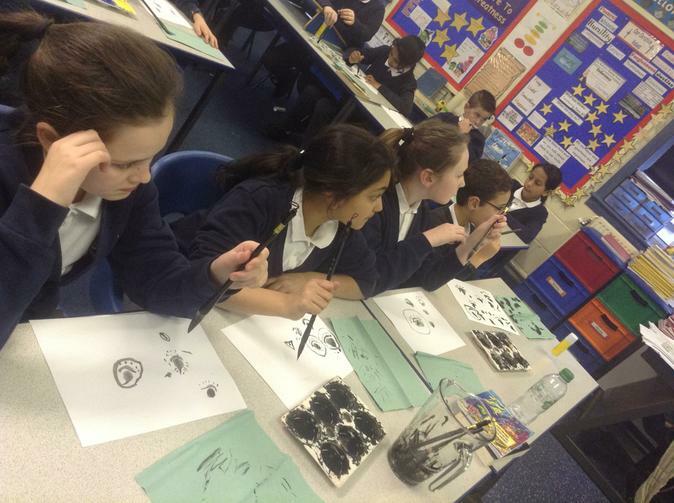 We also welcomed sculptor and artist Tony Heaton OBE into school who talked to us about the amazing pieces that he has created. 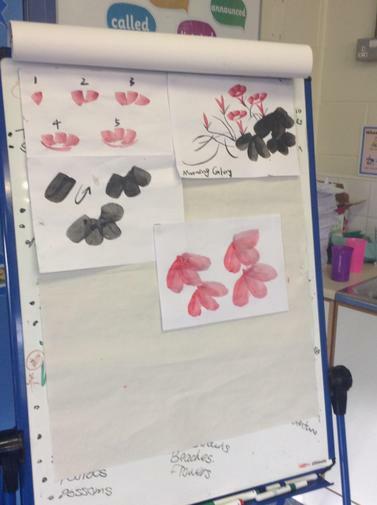 We even showed us his own 'ideas' books which really inspired us and encouraged us to use our own sketch books to record our ideas. 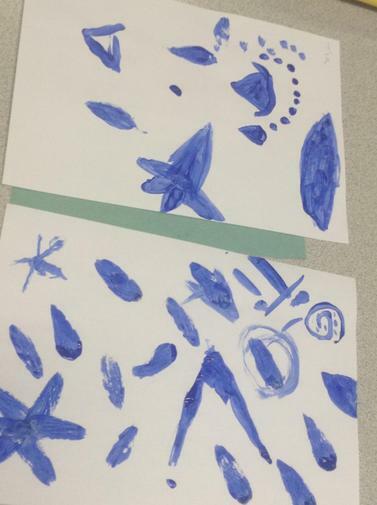 Here are some of our finished pieces on display in the art gallery.